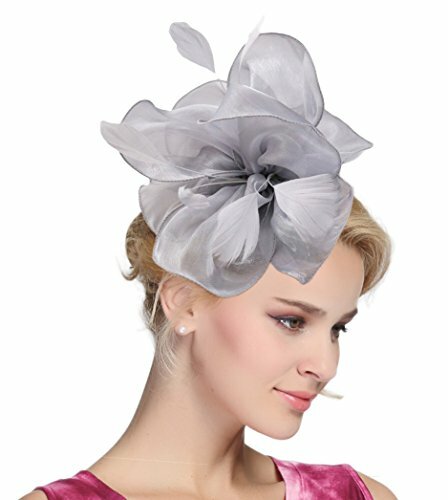 Urban CoCo Women's Vintage Flower Feather Mesh Net Fascinator Hair Clip Hat Party Wedding (Series 4-Gray) by Urban CoCo at Mas Fashion. MPN: EXHA5349GY. Hurry! Limited time offer. Offer valid only while supplies last.